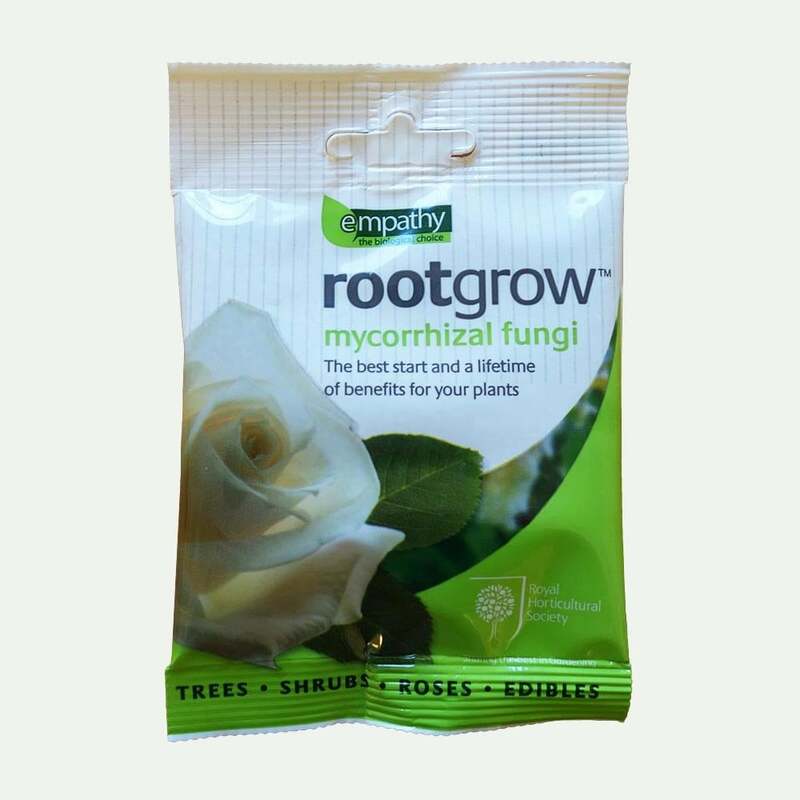 Rootgrow is a mycorrhizal fungi that occurs naturally in root systems and helps a plant to establish its fibrous roots. The Rootgrow is simply applied to the planting hole before planting where it works away to improve nutrient intake and establishment in all soils. Rootgrow is the only planting treatment to be licensed and endorsed by the Royal Horticultural Society. All packs come with full instructions for use.